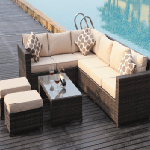 Welcome to Dream Outdoors , the leading suppliers of Rattan Furniture right here in the UK. 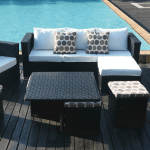 From rattan sofa sets to rattan dining sets, we stock and supply an array of rattan made furniture to homes, office gardens and commercial spaces all year round. Regardless of the typical British weather we enjoy, people love spending time outside. Whether it’s in the middle of summer with a delicious glass of Pimms or even in the middle of winter, complete with outdoor heaters to combat the elements. While outdoor heaters may combat the feel of the usual winter chill, you’ll need a little more than that to help protect your rattan furniture. 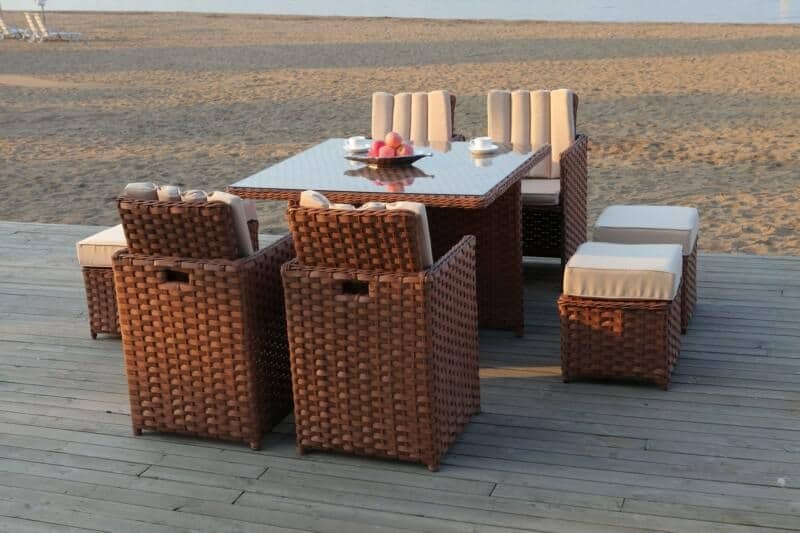 Although good quality rattan furniture is of course weather proof to an extent and can be left outside all winter, you’ll find it retains its pristine appearance and condition for much longer when covered. 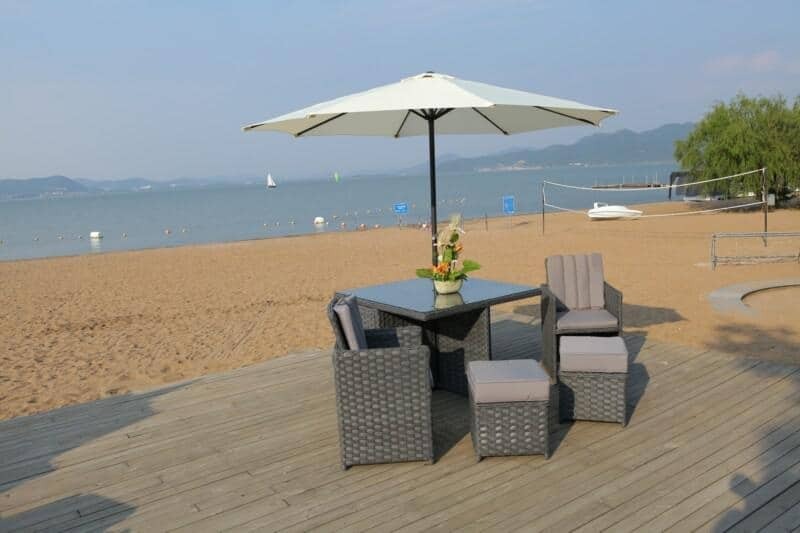 It’s for this reason that our rattan furniture covers are so popular. 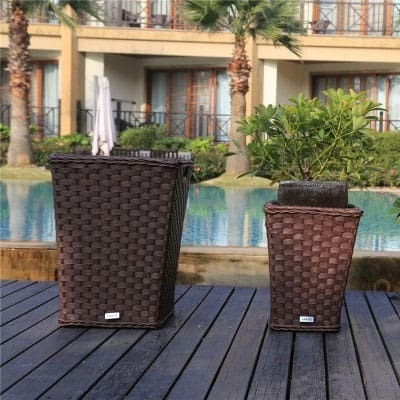 When stacked together, your rattan furniture becomes wind proof, easily able to withstand any high-winds, refraining from being blown over. 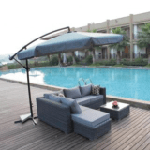 Add to this a water proof rain cover and it instantly makes your rattan furniture much more protected against the elements. While some companies provide rain proof covers of varying sizes in the hopes that one particular size will at least be big enough to cover your set, here at Dream Outdoors, we like to do things a little differently. With a little communication, we’ll be able to send you a rattan furniture cover that isn’t merely big enough, but matches your set perfectly. What could be better? 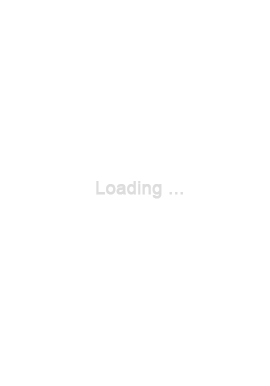 This isn’t merely to look pretty either. Excellent fitting furniture covers help prevent the material of the cover from flapping around in the wind. While this may sound tedious, it’s actually very important when it comes to preventing the cover from ripping and chaffing on the corners of your furniture. 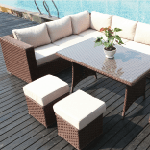 By emailing us the SKU number of the rattan furniture set you’ve purchased from us, we’ll send you the matching furniture cover and in doing so, will help you ensure many years of enjoyment from your garden set. 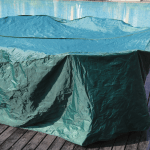 If you’d like more helpful hints and tips or would like to ask a question about our rain-proof rattan furniture covers, simply contact us today for more information by emailing info@dreamoutdoors.co.uk. We’ll be only too happy to answer any questions you may have and point you in the right direction.